WICT’s Ruby Anniversary will be memorialized throughout the year, including a very special 2019 Signature Luncheon on May 2, 2019 at The Plaza Hotel New York. The luncheon will honor the past, celebrate the present, and imagine the future of WICT with a collective of distinguished guests and talent. WICT’s mission is, and always has been, to create women leaders who transform our industry. We do this by providing unparalleled professional development programs, commissioning original gender research, and supporting a B2B network that helps advance women. 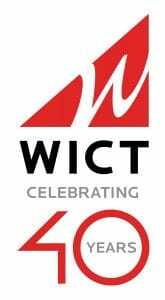 For 40 years, WICT has partnered with cable and technology companies to help build a more robust pipeline of women leaders. Founded in 1979, and now over 10,500 members strong, WICT is the largest and oldest professional association serving women in cable media. To learn more, visit wict.org.